South African Self Drive Holidays, “what an amazingly beautiful country”. At Selftours we turn your holiday dreams into reality, rich with a unique and exotic combination of landscape, wildlife, people, history and culture, offering amazing ‘Fun in the Sun’ holidays with so much to explore. With its wide open spaces and good modern international road systems, South Africa attracts self-drive holiday makers from all over the world. Selftours supplies a road map book and directions. However, Best Advise, if you have a GPS, a good idea would be to up load the South African Road system onto it before leaving home. South Africa attracts European & British Holiday makes who find it not only an exciting destination but a very cost effective holiday in the sun. A Self Drive holiday gives you the freedom to travel at your own pace and explore the areas that are of interest to you. Whether your holiday dream is to tour the country admiring the beautiful scenery, savouring our international cuisine or getting into a serious 4x4 Wildlife photographic Safari, enjoy a beach holiday or catch up on a favourite sport. Our Selftours Packages will meet your holiday dreams. South Africa’s reputation for delivering value for money has made it one of the fastest growing travel destinations of the world. 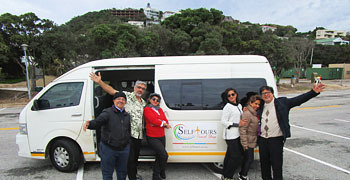 South African Guided Coach Tour Holidays are also popular for those who wish to sit back, relax and enjoy a unique and inspiring holiday experience. Pack your next holiday with the excitement of a prearranged guided coach tour. The perfect package alternative for a South African holiday for those who do not wishing to navigate their way around South Africa. OR, perhaps a combination of both ideas ? Whether your holiday dream is to tour the country and admire the beautiful scenery or get into a serious 4x4 Wildlife photographic Safari, enjoy a beach holiday, mountain climbing or catch up on a favourite sport. Selftours turns your dreams into memorable holidays. All group sizes are catered for. Drivers hold a PDP license and Guides are Cathsseta qualified. Often a combination of a self drive holiday with a few guided experiences included can make for the ultimate holiday tour of South Africa. Silverback Mountain Gorillas are the largest primates. They are ground-dwelling and predominantly herbivorous. 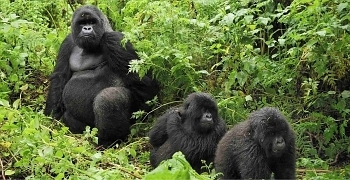 They are social animals and live in individual Mountain Gorilla families. They inhabit the forests of Central Africa, where the countries of Rwanda, Uganda, and Congo meet. Mountain Gorilla Trekking, as it is commonly known, draws many hundreds of people from all over the world to view these majestic animals in their natural habitat. Mountain Gorillas are on the primate endangered species list with less than 800 Gorillas left in the world, they will not breed in captivity. Not to be confused with other species of Gorillas. The late Dian Fossey devoted 18 years of her life to both studying and protecting the Gorillas from poachers, before she was eventually murdered. The Wonders of Victoria Falls in Zimbabwe. David Livingstone was the first European to view this wonder of the world and described them as, Scenes so lovely must have been gazed upon by angels in their flight. Victoria Falls is one of the worlds 3 greatest waterfalls, along with Iguasu Falls in South America, and Niagara Falls in North America. The size of Victoria Falls is a spectacular 1.6 km wide (1 mile) and 108 meters deep (350 foot) With all the other surrounding attractions and activities Victoria Falls has become to be known as "A fantastic little play ground in the middle of Africa". Perfect weekend get away or short holiday break away, even Honeymoon ideas are accommodated. 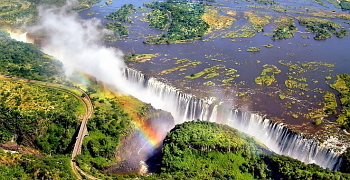 If you have not been to Victoria Falls you have not seen all of African majestic beauty. We offer direct flights from Cape Town and Johannesburg. The Mystical Island of Madagascar. 4th largest island in the world. Madagascar island holidays have their share of beautiful beaches and magnificent untouched coral reefs enticing scuba divers and snorkelers into the warm tropical Indian Ocean waters. The Mystical Islands of Madagascar are unique as almost everything is strangely different and seldom found anywhere else in the world. Many plants and animal species are endemic only to the Island of Madagascar making for a compellingly destination to explore. 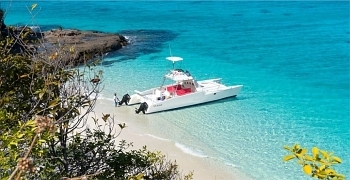 For Island holiday makers looking for something new and different the beaches and reefs will not leave you disappointed. Explore the unusual features, forests, wildlife, cultures and customs to a relaxing beach holiday in the tropical sunshine. The Mystical Island of Madagascar has a great deal more to offer than just catching a sun tan on a tropical island beach, it is a new tourist frontier, the "in" place to have been. Visit Madagascar; you will be pleasantly amazed ….. Holidays on the Spice Island of Zanzibar offers more than just the guaranteed pristine snow white beaches and beautiful clear turquoise water you expect on a tropical Island. Scuba Diving and Snorkelling is unbelievably awesome off Mnemba Island coral reefs and highly recommended. There is much to be explored on a Zanzibar Holiday from various guided tours to the history of the Sultans of Zanzibar and slavery. There are many tours on offer of which one tour must not be missed, which is the combination Spice Island and a Stone Town tour. In colourful Stone Town there is some intriguing retail therapy to be had with much haggling to be enjoyed over prices that gets you that ultimate piece of memorabilia. Haggling is expected. You will need more than a week to squeeze in all the fun that a holiday to the island of Zanzibar has to offer. The Paradise Island of Mauritius. A sun drenched tropical island paradise that allows you to relax and soak up the sun. Many activities are provided at the hotels which makes for a perfect family holiday with children and for those honeymooners who just wish to be alone, spoilt and pampered. Most hotels offer a health spa where various therapy’s are offered. 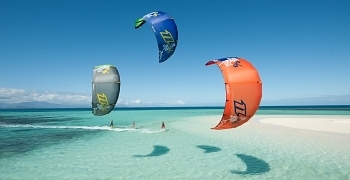 Its all about water sport, from pool aerobics, parasailing, water skiing to snorkelling and scuba diveing are featured at most hotels. Deep sea fishing is in their blood with some record breaking game fish having been caught over the years. Your holiday tour of South Africa can be designed to include a variety of the best South African attractions with wildlife experiences and luxury games lodges with guides. 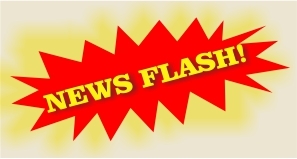 Either choose a more flexible self drive tour or a guided coach tour. 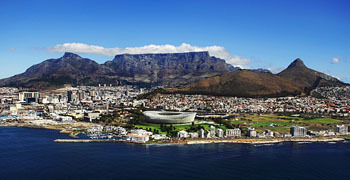 South Africa has much to offer for everyone's personal taste like no other country in the world. And for the adventurous traveller, Gorilla Trekking in Rwanda. All our packages are tailor-made to suite each guests individual needs, taste and budget. Large group coach tours will be personally designed just for that group Our African Holiday makers travel from as far afield as Europe, the United Kingdom, Germany, Italy, Holland, Canada, North and South America, Australia and New Zealand, to enjoy the amazing African landscape, cultures, wildlife, and never to be forgotten the fine cuisine with international awarded home grow wines. Find & compare the perfect flight that meets your holiday plans & budget. We truly enjoyed our guided tour of Cape Town and area with you. 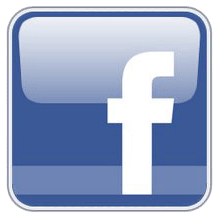 Your knowledge of the area added great to our experience. Thanks for the photos. I will be adding them to our album. We have arrived back in Abu Dhabi. We all enjoyed the holiday in South Africa very much and would not hesitate to return. Thank you for all your hard work and assistance. 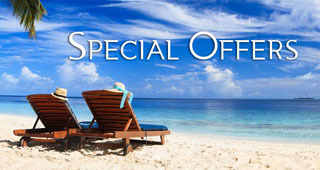 If you are considering South African Tours this year, whether a self drive South Africa holiday or guided coach holiday tour, Selftours has a South African vacation safari holiday package just for you or perhaps an island holiday, choose from a mystical Madagascar island holiday or a Zanzibar holiday rich in the history of the Sultans of Zanzibar. Not to be forgotten Victoria Falls or the Rwandan Mountain Gorillas a unique experience.